Native to the central and eastern United States, excluding the northeastern and central Atlantic states. Introduced to the Chesapeake Bay region in the mid-1800s, and are now common to abundant in all tributaries of the Bay. Also known as the green bass, the largemouth bass has a lower jaw that extends well past its eye and is considered one of the most popular sport fishes in the United States. Adults can grow up to 30 inches long, and females grow larger than males. Its elongate body is yellowish green, while its belly is off-white. A dark stripe runs along the side of its body, but this is sometimes absent in older fish. The lower jaw of its large mouth extends well past its eye. Juveniles consume zooplankton, insects and small fish. 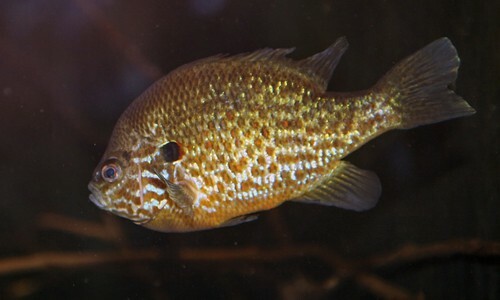 Adults feed on insects, fish and crayfish, with sunfish often being their prey of choice. Fish often feed in the early morning and late evening, near vegetation growing in shallow waters. 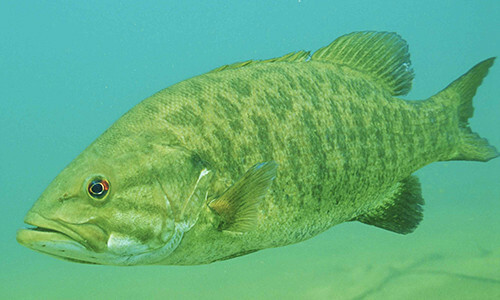 Predators include yellow perch, walleye, northern pike and muskellunge, although primary predators are humans. 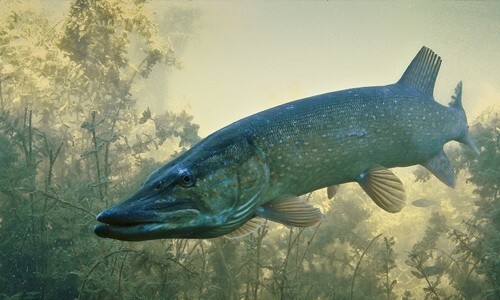 Spawning occurs in the spring when water temperatures reach 54 to 64 degrees Fahrenheit. Males build and guard crude, saucer-shaped nests in shallow waters. Fish prefer to spawn on gravel substrate, but will also nest on other substrates, including vegetation, roots, sand, mud and rocks. Eggs hatch in four to six days, and larvae remain in schools under the protection of male adult for a month after hatching. Females reach sexual maturity at four to five months of age, while males reach sexual maturity at three to four months of age. Largemouth bass can live up to 25 years. The largemouth bass is one of the most popular sport fishes in the United States. The record largemouth bass was caught in Georgia and weighed 22 pounds.